The yardstick Cheryll Woods-Flowers uses to measure her success as a real estate agent has little to do with her annual sales figures. The Coldwell Banker United agent prefers to assess her accomplishments based on the numerous satisfied clients she has helped in the past fourteen plus years. In all honesty, Cheryll never held a sales job before she launched her real estate career, but she was well-prepared for a profession where personal service can draw the line between success and failure. Cheryll points out that her 14 years in city government has provided a solid foundation for her current career. Her resume includes six years as a member of the City Council and eight years as mayor of Mount Pleasant, one of the fastest-growing municipalities in South Carolina, in addition to a lengthy list of people-oriented community service activities. "As mayor, I learned to communicate well and respond to peoples' needs. In public office, especially when you're sitting in the big desk, you really have to be able to respond in a timely manner to the concerns of the people you're working for. I consider what I do not so much sales as taking care of people. That's exactly what you do when you're in public office,"
Cheryll, who sells all types of residential property throughout the Lowcountry, from Summerville to the coast, said each client is different and each has unique needs. For example, some people care only about price, while others want to live in a specific community or send their children to specific schools. As a lifetime resident of the Charleston area, she has gained the knowledge and insight to help her clients find the perfect home. Cheryll, who has lived in East Cooper most of her life, earned two degrees from the College of Charleston, a bachelor's in Business Administration and a Master's in Accountancy. After leaving public office, she worked as an accountant and as chief financial officer for the Carolina Youth Development Center, soon realizing that she wouldn't be happy sitting behind a desk all day. "I was pretty miserable being in one place for an extended period of time," she commented. She has no regrets about how she chose to solve that problem. She said the most intriguing aspect of the real estate business is that success is limited only by the amount of effort a person wants to put into his or her career. "It's a wonderful opportunity. You have to be willing to work extremely hard, but I really feel like I made the right decision. I'm about as happy as I've ever been in my life," she said. "I like having the chance to meet new people and help them make one of the most important decisions they'll ever make. It's great to be a part of that." Cheryll's other accomplishments have been integral parts of the Charleston-area community. 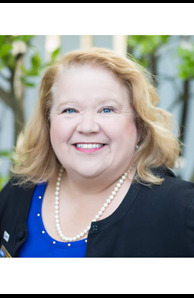 She is former Chair of the Charleston County Parks and Recreation Commission a member of the College of Charleston Business and Economics Advisory Board, currently a member of the Town of Mount Pleasant Planning Board, and Vice President of the College of Charleston Cougar Club. She formerly served as a director of the College of Charleston Alumni Board and as a member of the Trident Boys and Girls Clubs Board of Directors. She has been recognized as a "Woman of Distinction" by the Lowcountry Girl Scouts and has contributed her talents to the East Cooper Kiwanis Club, the East Cooper Republican Women, the South Carolina Coastal Conservation League, East Cooper Community Outreach, East Cooper Meals on Wheels and the East Cooper Concert Series. She was also presented with the ™Order of the Palmetto™ by Governor Mark Sanford which is the highest honor that can be presented to a citizen in South Carolina. Cheryll and her Mount Pleasant Home Team are the only group of South Carolina Low Country Realtors that can best suit your needs, because they don't just live and work in the Low Country, they are the Lowcountry.